This menu will be reviewed with the chef on the phone after the booking for all adjustments. The final menu will be subject to the chef's ability to find the ingredients at his/her suppliers. The menu Delight is unavailable at that date. Chef Alec Tomasso is unavailable on this date. 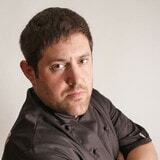 Check chef Alec Tomasso's calendar. Chef Alec Tomasso is unavailable in this city.